Still Waiting On Your Transvaginal Mesh Settlement? As a result, numerous Transvaginal Mesh lawsuits have been filed against the manufacturers of Transvaginal Mesh. Currently, no class actions have been certified. However, this could change in the future, as thousands of women have experienced common issues related to defective Transvaginal Mesh implants, and the number continues to grow. A defect in design is an error in a product’s design that makes it dangerous to consumers. For example, thousands of women have filed product liability lawsuits against various manufacturers of TransVaginal mesh implants. A major claim in these lawsuits is that a defect in the way the mesh was designed caused it to break apart and erode after only a short period, causing pain and serious complications. This occurs when a manufacturer provides inadequate warnings about the risks associated with its products. In the TransVaginal mesh lawsuits, many women have alleged that manufacturers failed to warn patients about the dangers of infection and mesh erosion. Pravati Legal Funding understands the difficulty in finding a lawyer that is best suited to fight for your Transvaginal Mesh lawsuit. That’s why we’ve taken the work out of lawyer selection and have developed a vast network of lawyer’s with various specializations. We review your case and match you to the perfect lawyer for your complaint. 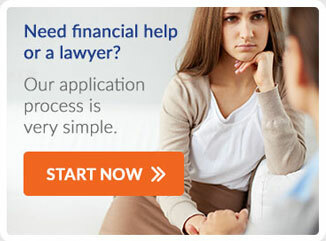 But we know that finding a lawyer or an attorney isn’t the only challenge facing you. Often, the time between filing your complaint and settlement or adjudication is a long one, and when you’re suffering damages, you need money to help pay medical bills, replace lost wages, obtain a revision surgery and more. Pravati Legal Funding can provide transvaginal mesh pre-settlement funding that helps you manage these expenses and hold out for the settlement you deserve. Contact us today to get money before your vaginal mesh lawsuit settles in court. If you believe that you are experiencing side effects from transvaginal mesh, see your doctor for diagnosis.